The Penguins are calling up the Prince of Darkness, the Fallen Angel, Lucifer himself, to come and win game five for the City of Pittsburgh. 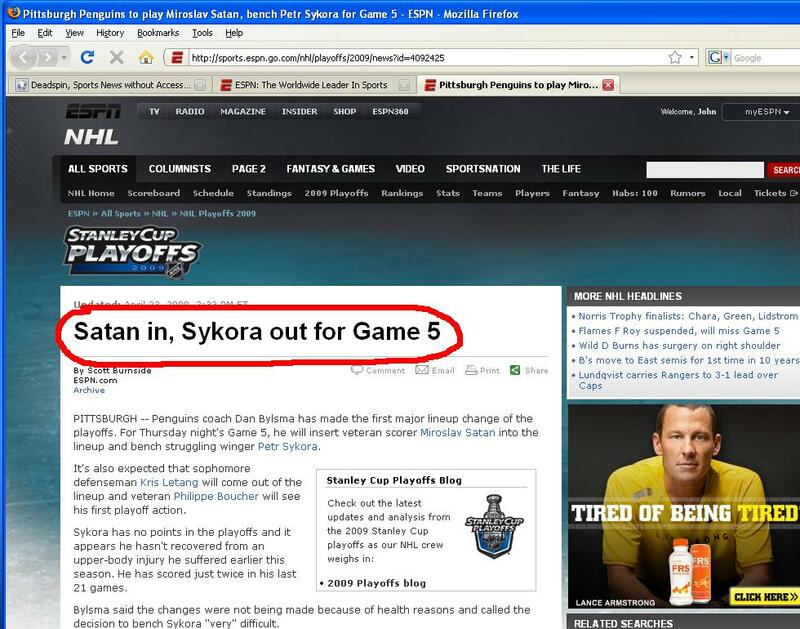 I mean, I’ve heard of selling your soul to the devil, but having him play on your team? That’s a whole new level. I wonder how the ice is going to behave around all the fire and brimstone. They’ll have to turn the AC up to 11.